I actually recently played through C&C1 and 2 (Tiberian Sun, not Red Alert), and I had more problems than you'd think. C&C1 simply required some enhancement mod I believe. It wasn't too much hassle. Red Alert is a bit more of a bother though if I recall correctly, but it's been a while. The rest should be fine. Yep like I said he may need to download other programs to run the older games. So I have to ask you did you get Generals to work because it doesn't even run on Win 10. No, I only did the main "story" this time, with C&C1, 2 and 3 (no, didn't bother with 4, despite it being in the same universe). I liked Generals back in the days though. A shame if that flat out stopped working. Their support of the C&C games has been atrocious, considering the only way to smoothly run some of these older games is via unofficial stuff. I had to download the Red Alert 2 & Yuri's Revenge expansion multiplayer client files, and other third party programs just to run them on Win 10. Generals just doesn't start. So to finally see true remasters makes me finally excited to play the old games. Some of the early info suggests two new games are possible. So fingers crossed. Last edited by Couchpotato; November 19th, 2018 at 12:26. I liked the first two when they first came out not sure if they will be that enjoyable even after remaster. For the most part I played the ones after the first two but didn't really like any of them. With all this remaster craze, I've dusted off my trusty PS3 and had fun with Red Alert 3. Yes, I know, this is a PC game, console versions are inferior, yadda-yadda. But I had fun nevertheless. The game is as good as ever, the UI is elegant and simple. Why would they prioritize consoles only when Red Alert 3 was a flop after the PC release? Wait the XBox One has K&M support so it should work better. 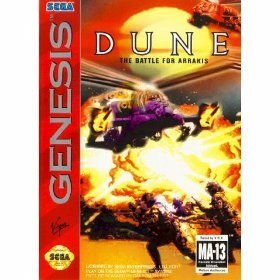 I do remember playing Dune on the Sega Genesis back in the 1990's. So yes I think the remasters will get released on both Consoles and The PC . Why would they prioritize consoles only when Red Alert 3 was a flop after the PC release? By prioritizing, I mean that the game will be designed for consoles first, and the PC version will be an afterthought. So, there will be a PC version - question is, will it be a proper PC game, or a console game with tackled-on PC features (as it happens nowadays)? M+K for consoles is nothing new. Sony did it for the PS2, Sega did it for the Dreamcast, MS did it for the original Xbox, no one cared. And for a good reason. Ah I thought you meant something different, but yes you have a valid point.